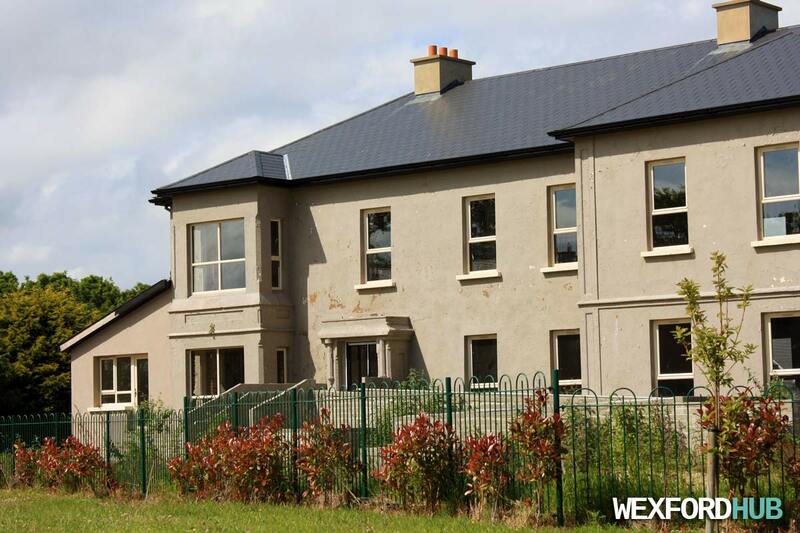 A photograph of the old Strandfield House building, which is situated inside the recently-constructed housing estate of Strandfield Manor on Spawell Road, Wexford. The house appears on maps dating back to the 1800s. Currently unoccupied. Taken on the 14th of June, 2015. 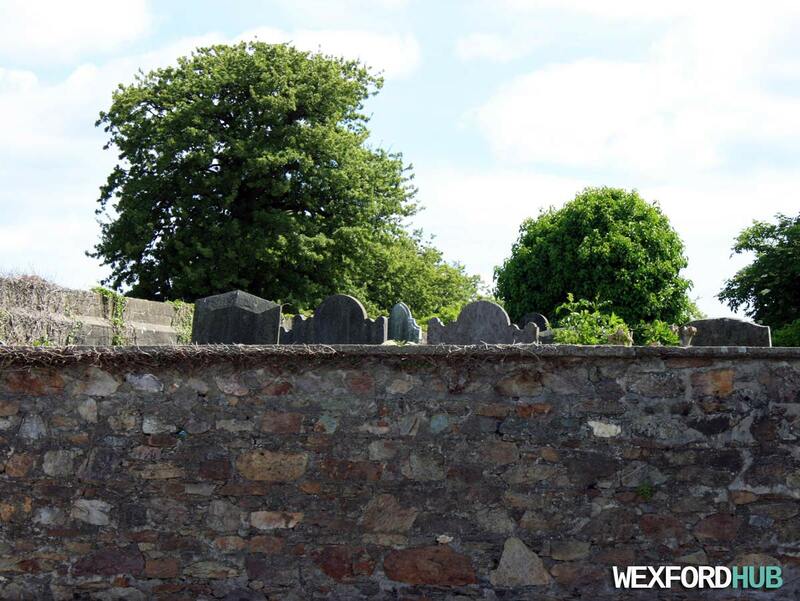 A photograph of the St. Mary Magdalene graveyard in Maudlintown, Wexford. Unfortunately, the public can no longer gain access to the grounds. The site was home to an ancient church and leper hospital up until the 1600s. After Cromwell took over Wexford, several Catholic churches in the area were sacked for their building materials. A photograph of the TK Maxx department store on Paul Quay in Wexford Town. The store, which opened on the 11th of June, 2015, is situated in the Stonebridge development on Wexford Quay. 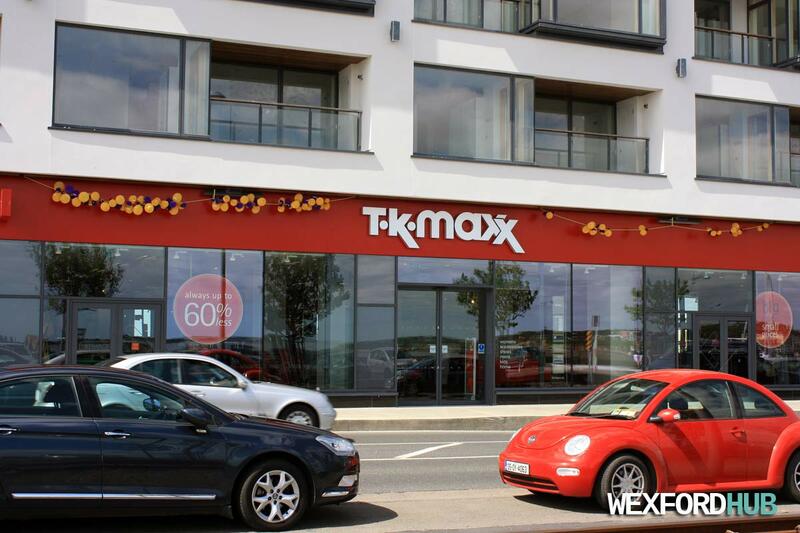 The opening of TK Maxx in Wexford was much anticipated for a number of reasons. Firstly, there was the issue of new jobs for the town, as the company intended on hiring 40 people to help run the store. Secondly, TK Maxx had a reputation for selling big brand names at a much lower price than their competitors. Thirdly: It would be occupying the Stonebridge development, which had been lying vacant since its construction at the tail-end of the Celtic Tiger. Last, but not least; it's opening was seen as a much-needed "injection" into the southern halve of the main street, which had witnessed its fair share of closures (the once-busy mall on South Main Street closed its doors shortly after Tesco decided to move to a new premises on Distillery Road). With the opening of TK Maxx in the southern part of the town, it is hoped that it will lift the area around it by bringing more shoppers to the area. There were plans to open the store in 2014. However, an objection from local businessman Nigel Hamilton delayed its opening. Hamilton lodged his objection because he felt as though the store should be located closer to the Main Street. In September of 2014, his objection was rejected by An Bord Pleanála. 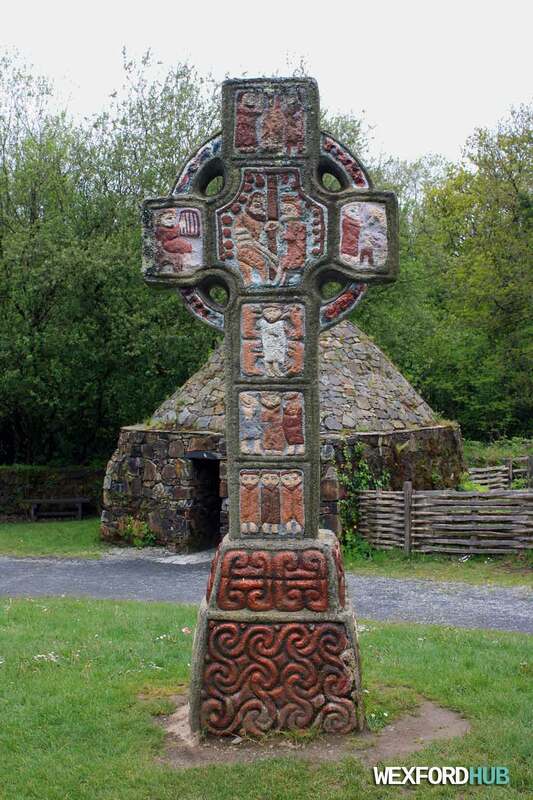 A photograph of a Celtic High Cross. This reconstruction can be found inside the grounds of the Irish National Heritage Park in Wexford; opposite the monastery. These were Christian structures that were heavily decorated with various colours and imagery of religious figures. Sometimes, these are referred to as Standing Crosses. A photograph of a reconstructed Clochán; as found in the Irish National Heritage Park in Wexford. 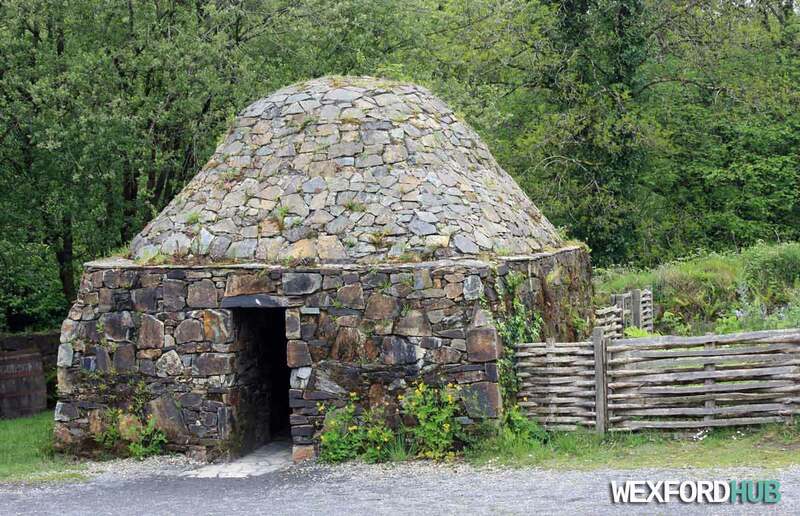 These bee-hive shaped stone huts were popular on the south-western coast of Ireland. In many cases, they were used as the living quarters for Christian monasteries and churches. This was snapped in May of 2015. A photograph of the "Metalworker's House" in the Irish National Heritage Park in Wexford. 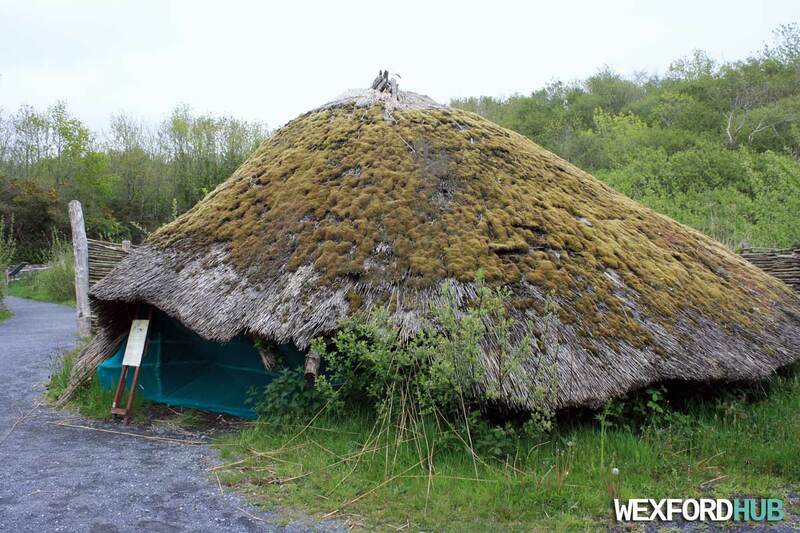 This is the last remaining structure of the original Crannog that was built back in 1987. The hut is being allowed to slip into decay so that they can learn more about how long these kind of huts would have lasted before they needed repair or became inhabitable. 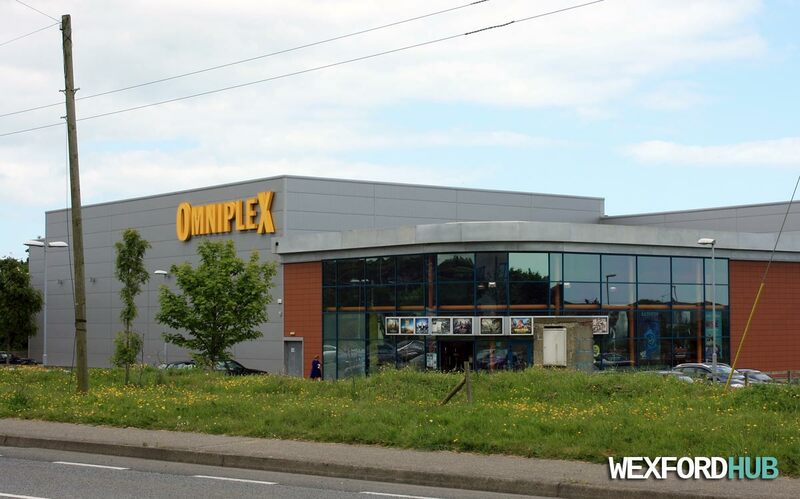 A photograph of the Omniplex Cinema in Wexford Town. Located on the Old Rosslare Road in Drinagh. The cinema has eight screens and 1,600 seats. It was opened in 2008; replacing the Savoy Cineplex on Redmond Road. It is believed that the premises cost over €9 million to build. This was taken on the 7th of June, 2015. At the time, the cinema was screening Avengers Age of Ultron, Mad Max: Fury Road and San Andreas. 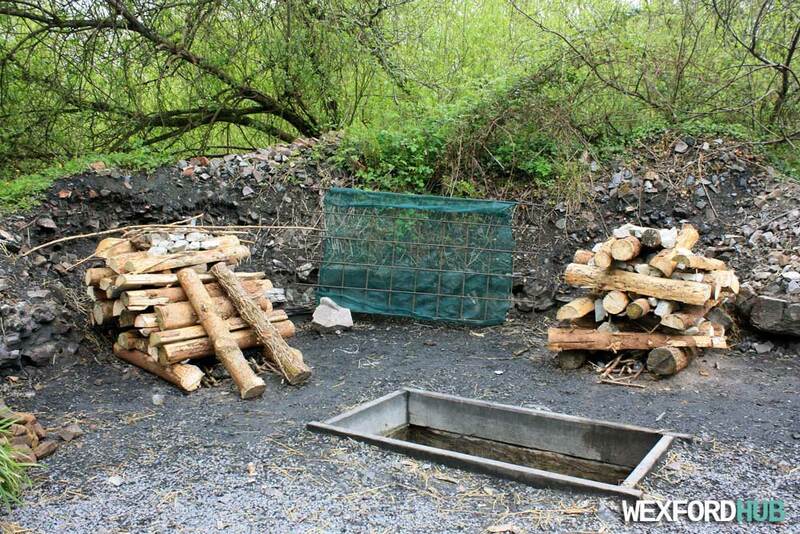 A photograph of a reconstruction of a Fulacht fiadh, which was a bronze age "outdoor kitchen" that was used to boil meat. It worked by lowering piping hot stones into a pit of water. These stones heated up the water and brought it to boiling point. Experts also believe that the Fulacht fiadh may have been used for bathing and for dyeing clothes. This picture was taken in the Irish National Heritage Park in Wexford in May of 2015. A photograph of the Cot Safe in Maudlintown, Wexford. 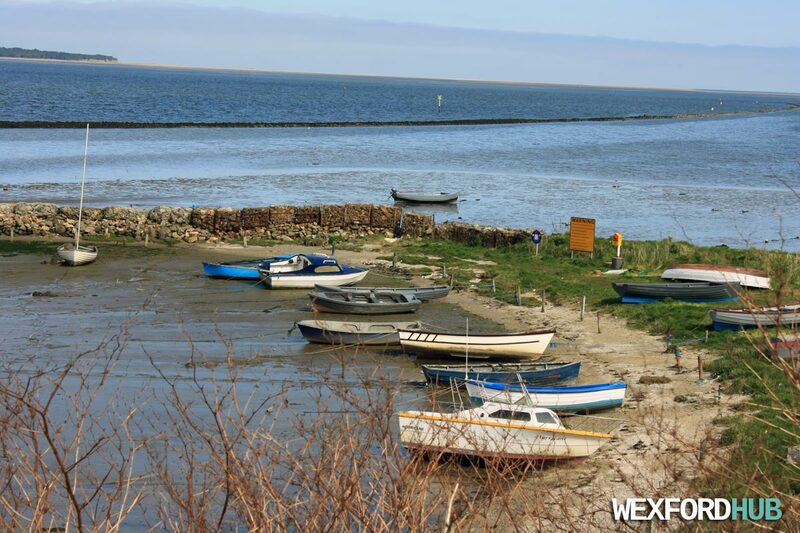 The name comes from a type of boat called the "cot", which is popular amongst those who like to sail the rivers of southeast Ireland. This was snapped on Sunday, the 5th of April, 2015. A photograph of a reconstruction of a Viking encampment. This is at the shore of the River Slaney in Wexford, inside the grounds of the Irish National Heritage Park in Ferrycarrig. Taken in May of 2015.